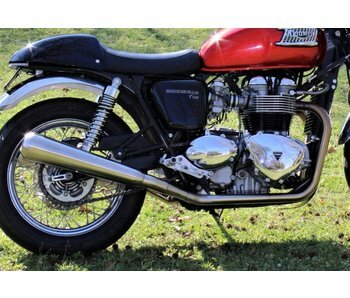 "Daytona" mufflers in chrome finish for Triumph Bonneville 2001-2016 (all versions with wire wheels). Sold as a kit, ready to fit. Stainless steel 2-into-2 exhaust line with short mufflers under the engine. Superb quality, hand made in Italy. 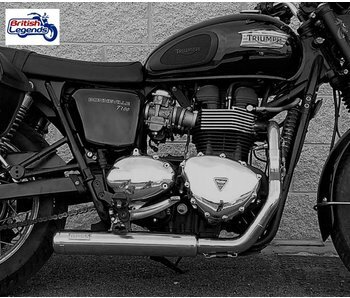 Stainless steel 2-into-1 exhaust line with a short muffler for a sporty look. Superb quality, hand made in Italy. 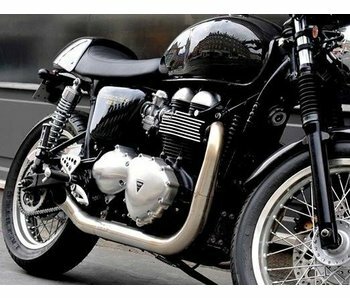 Complete 2-in-1 line in stainless steel for Triumph Scrambler (also fits Bonneville and Thruxton). Includes full fitting kit. 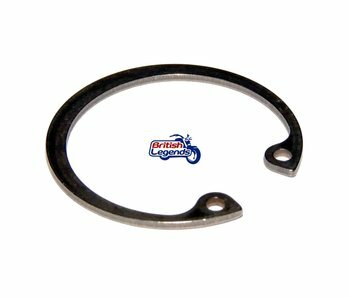 Exhaust manifold seal/gasket for Triumph Twins 790/865cc. Stainless steel silencers with removable baffles, direct fit on your bike. Hand-made in Italy, excellent quality. 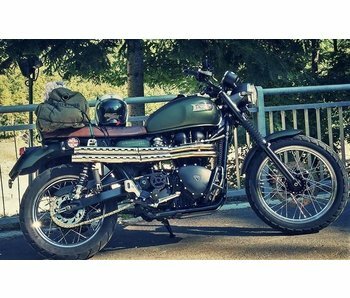 Bends required to fit universal mufflers/silencers on your Triumph Bonneville (2008-2016). Sold in pairs. Stainless steel 2-into-2 exhaust line with side outlet. The dB-killers are integrated within the pipes for a "total" look. High quality, hand made in Italy.